Speaking truth about weakness: the real limits of consular assistance. A House committee study expected this year on the topic should deal with issues of ransom and those affecting dual nationals. OTTAWA — When the House of Commons Foreign Affairs Committee begins its study of Canadian consular practices and procedures, apparently set to begin this autumn, I respectfully suggest that it start with a close look at the Vienna Convention on Consular Relations. That international agreement dates back nearly 55 years and has been signed by some 170 countries, including, of course, Canada, which joined in 1974. It deals with a variety of issues concerning the establishment of consular relations and posts and the functions, privileges, and immunity of consular officers. However only one provision, Article 36, addresses the situation of the detention of nationals of the signatories in foreign jails, and it makes for a very thin gruel. Essentially all Article 36 does is provide for the obligation of the arresting state to advise the country of the detained person of his or her detention. This is not automatic and must be requested by the detained individual. It goes on to specify that consular officers have the right to visit their citizen and to correspond with him or her and to arrange for legal representation, as long as the detained individual is in agreement. The provision then dramatically circumscribes the power of foreign consular officials by categorically providing that the foregoing must be exercised in conformity with the laws and regulations of the state holding the foreign national. In the case, for example, of a Canadian arrested abroad, it is clear that the local law—and not Canadian law—applies, and the ability of the Canadian consular officer to intervene is strictly limited. The Global Affairs Canada website, for those intrepid travelers who take the time to read it, makes all this plain and provides a great deal of other useful information about what Canadian consular officers will and will not do, including intervening for you with a clemency plea if you face capital punishment. Then there is a website link that should be of special interest to the House committee, on the issue of dual nationals. Canadians who have citizenship in another country may find themselves at particular risk if they travel to that other place. Indeed, many of the high-profile consular cases in the media have involved dual citizens. The saga of Concordia University professor Homa Hoodfar’s incarceration in Iran is one recent example. There should be a huge banner across that section warning dual nationals that they may not be able to access Canadian consular assistance if they run into trouble with the local authorities when in their country of other nationality. 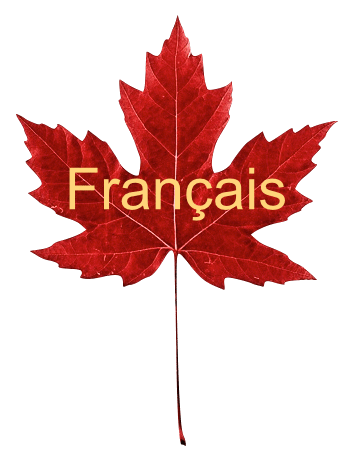 Some states do not accept or recognize multiple nationality and regard you as a citizen of the country of origin, with your acquired Canadian citizenship often being viewed as little more than a minor nuisance, if not totally irrelevant. The recommendation on the government’s travel website, in the section entitled Traveling as a Dual Citizen, to use your Canadian passport and present yourself as a Canadian, will not stop determined security personnel in a foreign country from regarding you as one of their own. This is especially true in states where the understanding of the rule of law and basic human rights is far different from ours. And here is where it is important to draw a distinction between consular assistance and diplomatic or political initiatives. When a Canadian is detained in another country where they hold citizenship, and consular access is being limited or denied, appeals by civic leaders for their release are political in nature and in some ways badly distort Canadians’ expectations of the power of our consular assistance program. All Canadians need to accept some level of personal responsibility for their safety when traveling abroad. For better or for worse, this is doubly true for dual or multiple nationals. Acting on demands for intervention by distraught family members and friends or by advocacy groups for dual-national Canadians incarcerated abroad, which are not part of traditional consular assistance, can have adverse international consequences for Canada. The words of Independent Senator Ratna Omidvar as reported in the Hill Times on Oct. 3, 2016, provide sound wisdom. Referring to her Iranian citizenship acquired by marriage, she noted that although Indian-born and now a Canadian, from Iran’s perspective she is still Iranian and “that is why I never want to go back,” she is quoted as saying. The House committee is reportedly going to study the provision of consular services to Canadians from a very broad perspective. The review may extend to the situation of Canadians abducted and held for ransom by terrorist groups. This would have been motivated by the horrific murders of two Canadians in the Philippines last year by ISIS-linked Abu Sayyaf terrorists fighting a separatist rebellion in the southern part of the country. Indeed, this atrocity and how it came about should be closely examined, as this barbaric incident did not provoke enough outrage and soul-searching here. However, these situations are beyond the boundaries of usual consular intervention. In these types of cases, the issue is not with another country holding Canadians in detention; on the contrary, in this case the Philippines was trying to co-operate and co-ordinate with Canada against a terrorist third-party non-state actor. Reports seem to indicate that the Philippine authorities are having some success in tracking down the perpetrators. If this type of situation is going to be placed under the rubric of consular services, there needs to be common agreement to expand the capacity of traditional consular actors to include justice and law enforcement, immigration, the military, and other security organizations, as well as to develop the ability to interact effectively and in a timely fashion with family members, employers, advocates and concerned civil-society groups in Canada and internationally. In our new and dangerous world, where the lines between combatants and civilians are often meaningless, and if interventions by government to protect its citizens abroad are to expand beyond the parameters of the existing international consular treaty, then they need to be done in a planned way and not as ad hoc responses to crisis. At the same time, government needs to establish a clear understanding with its citizens, especially dual nationals, as to the realistic limitations of its capacity to protect them when they venture beyond the borders of this country. Jack Silverstone is a lawyer and a former consular officer. He was chief of staff to the citizenship and immigration minister from 2005 to 2006 and is currently counsel to The Rothwell Group in Ottawa. OTTAWA—While U.S. president-elect Donald Trump maintains his laser focus on Mexico when it comes to railing against the ills of the North American Free Trade Agreement (NAFTA), Canada has to be careful that it does not become collateral damage. The incoming U.S. administration has promised to torpedo the nascent Trans-Pacific Partnership (TPP), after which NAFTA would likely be the next piece of low-hanging fruit to be critically examined. That NAFTA would be up for review was recently confirmed by Wilbur Ross, the nominee for the role of U.S. Commerce Secretary. While the movement of products across the Canada-U.S. border is the best known aspect of the agreement, facilitating the free movement of people is also a vital component. Under NAFTA, which was ratified by Canada in 1993, the way is eased for a broad range of professionals, scientists and technical specialists to work across the border and simplifies greatly the process of obtaining work permits, which in many instances can be issued on the spot at border posts. Sometimes referred to as a NAFTA visa, it is obviously a very important benefit that we should all want to see preserved. NAFTA is not the only trans-border mechanism that facilitates the free flow of people between Canada and the United States. There is of course the Nexus card, which is widely used by regular travellers to both countries. This document can greatly cut the time in airport lines, making for efficient trans-border traffic. So-called enhanced drivers’ licences, such as those issued by Ontario, can perform somewhat the same function at land crossings. There is also a lesser known and surely much less loved pact between Canada and United States known as the Safe Third Country Agreement by which refugee claimants are required, with certain important exceptions, to lodge their application for refugee status in the first country they reach, whether that be Canada or the U.S. The incoming U.S. president’s promise to begin removal of illegal aliens with criminal records could put a great strain on that bilateral agreement. The long-awaited lifting on the first of this month of the visa requirement on Mexicans wishing to visit Canada will also have to be part of the Canadian narrative to be explained to our American partners. America must be convinced of the thorough screening of all immigrants and temporary residents in Canada—and thorough in all aspects, including criminal, medical as well as counter-terrorism. The acceptance of tens of thousands of refugees from Syria and elsewhere in and near that region into Canada surely causes some concern in the U.S. The ability to provide a clear analysis of how the program functions beyond the humanitarian component is essential. If even one terrorist attack, Heaven forbid, were perpetrated on American soil by malefactors from our side of the border, one cannot fully imagine the consequences for trans-border traffic. Immigration Minister John McCallum’s announcement promising to cut wait times for family reunification by half set the right tone by emphasizing that there would be no relaxing of criminal, medical and security vetting despite the increased pace of processing applications. We need to be ready to back that up in granular detail if queried. We have so much riding on maintaining a well managed Canada-U.S. border. With the new U.S. administration’s promising to take a very tough stance with regard to securing its frontiers, it is in Canada’s vital interest to ensure that our American neighbour has high confidence in our immigration security capabilities and practices. There can be no higher priority for Canadian foreign policy right now than ensuring the maintenance of an open border between this country and our superpower neighbour to the south. Jack Silverstone and Brian K. Bruce have joined the team enhancing the expertise of The Rothwell Group. Jack Silverstone, lawyer and former Chief of Staff to the Minister of Citizenship and Immigration, will focus on immigration policy and related international, trans-border and consular matters. Brian K. Bruce, former public servant responsible for national telecommunication acquisitions & operations, brings over 25 years of strategic procurement expertise and will focus on corporate and small business interests. 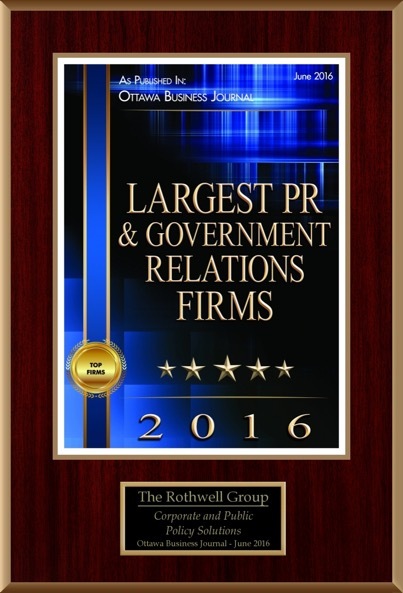 Rothwell has been resolving client issues for over 25 years and is proud of its reputation of delivering results. These new additions bring expanded capability and focus to our client offerings. “Jack and Brian are experienced public affairs professionals well equipped to respond to a very complex new business and government environment.“ Alain Pilon added. The Rothwell Group builds on the individual strengths of its Principals thus bringing our collective experience to our clients' issues. We provide advice on how governments work, the decision-making process and the contexts, both policy and political, that drive government decisions. From this foundation, we develop a unique public affairs or issue management strategy for each client. Then we bring our skills to bear as we work with our clients to implement those strategies. The following opinion piece was published by The Lobby Monitor on October 28, 2015 as part of their Quick Fix series. The question: Justin Trudeau on how to balance competing environmental and industrial interests at next month's UN Climate Change Conference in Paris. Prime Minister Designate Justin Trudeau should tell the upcoming Paris Conference on Climate Change that corporate/industrial interests and good environmental practices need not be at odds. The conference is one of Mr. Trudeau’s first international conferences as Prime Minister; he must be statesman-like while also addressing domestic issues. Those issues are numerous. The Liberals secured support from many youth, First Nations and environmental voters. They are expecting quick action on the environmental file. Yet, with oil hovering just above $40 per barrel and a sluggish economy, Mr. Trudeau cannot propose environmental policies that put jobs at risk. He can balance these views by committing to greenhouse gas emission reductions through investments in 21st century technologies, while turning to the provinces for support. An example is the need to reinvigorate the manufacturing sectors in Quebec and in Ontario, automotive in particular. Mr. Trudeau could announce that Canada intends to be a world leader in green technologies by investing in the development of electric vehicles. Currently, Canada is the only industrialized nation without a policy on electric vehicles. It does not have an assembly plant nor any plan to develop one. Instead, some provinces have been leading the charge. Recently, Quebec announced a plan to electrify the province’s transportation sector and set targets to increase electric vehicles from 6 000 to 100 000 by 2020. Applauding these initiatives and announcing Canada’s intent to lead, is an example of how the new government can thread the needle of economic health with environmental stewardship, creating high-quality jobs and reducing greenhouse gases.